Admit it. The only thing you've listened to for the last 4 days straight is Sicko Mode and that's totally fine, we can relate. In the spirit of Astroworld, even more hyped releases from La Flame are upon us. Prepare your wallets for this Friday, August 10th at 10 A.M. EST when his collaborative AF1 finally re-releases. The rapper's take on this iconic silhouette was initially released in a triple white color-way late last year. 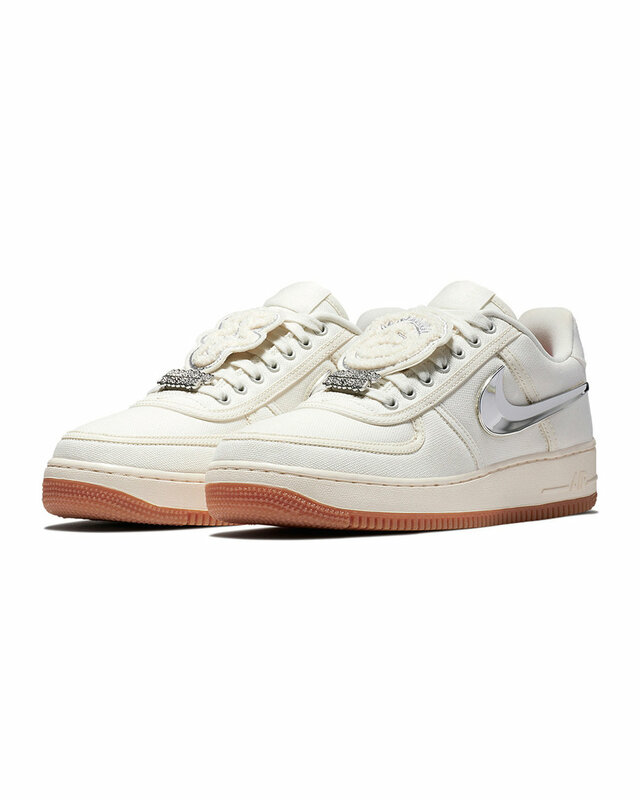 This time the sneaker will drop in Nike's distinctive "Sail" color, featuring a gum sole, an inverted Nike Air logo and the same customizability - additional, removable swoosh logos come with the shoes, as well as Velcro “Cactus Jack” patches, with Travis' diamond-covered grill replacing the traditional AF1 lace lock. The collab is set to release via Nike's SNKRS app and select Nike retailers for $150 USD. Astroworld may have taken months to drop, but expect these to sell out in seconds.